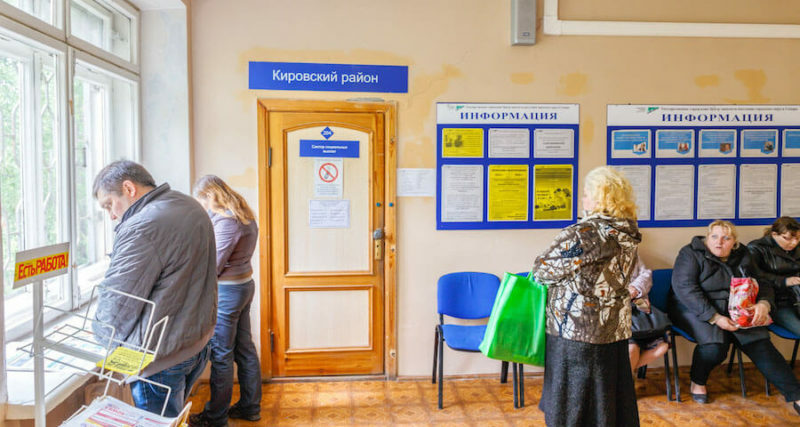 Home Blog What Is Employment Like in Russia? What is Russian Work Culture Like? Before you begin working your way to foreign language fluency, it helps to understand the culture behind the language you’re learning. After all, language exists to help a group of people express their ideas and beliefs. Russia is a vast country with a rich history and culture. As you begin your Russian language program, gaining a strong grasp on this history, the values, and the etiquette will help you rapidly achieve success. In particular, Russians have a relationships with employment still shadowed by its history as the Soviet Republic. Russian work culture, a reflection of the Soviet era, is much more autocratic than collaborative. One authority figure delegates the task to management and other employees without much fuss. Employees are commissioned to complete tasks and carry them out without questions and concerns. Even with the strict culture, Russians like to ensure clear and thorough communication. So they prefer face-to-face meetings rather than written communication, which is used abundantly in American corporations. Interestingly, Russians rely on spoken words alone, so much so that they don’t tend to use non-verbal communication, like gesticulations. It is common to see Russian employees in a meeting sitting immobile, their mouths doing the talking without help from other body parts. Their traditional values for establishing relationships and suspicion for strangers shows in their team structure. A team working on a project can expect to continue working together on other projects. The Russian workday is usually from 9:00 a.m. to 6:00 p.m. Companies often hold early meetings around 8:00 a.m. and work overtime. Some businesses don’t start work until 10:00 a.m. Because hours vary, be sure to check the typical hours for a company you plan to visit. Russian workers usually take lunch between 1 and 2 p.m. while some go later in the afternoon. The lunch meal always includes a hot soup which is a huge part of Russian food culture. Many people avoid dry food for lunch because “dry food causes stomach ulcers.” Work colleagues might even recommend that you eat soup instead of some dry food. On average, Russians work more hours than Americans because they work more full-time hours and very often they work overtime which is rarely paid, and a very small percentage of the population work part-time. Russians have long had the reputation of being hard workers. This was amplified by the birth of the Soviet Union, which took the approach that everyone had to work and work hard. People who truly embraced what the Soviet Union was all about were willing to spend days, weeks and months living in tents in order to work 12 hours a day and build the things that made the Soviet Union as strong as it was. When Russia went from being the Soviet Union to just Russia, there were still plenty of people who were willing to work very hard. In order to help their country during the late 1990’s, more than 14,000 employees of the country’s largest energy company worked without taking a salary. These people worked for free because they knew the alternative would leave hundreds of thousands without power. At the same time, there is a kind of dual personality within most Russians. They will have bursts of quite a bit of activity and then they won’t want to go to work at all. There is also a kind of inherent distrust throughout the country when it comes to entrepreneurs. At the same time, once these people have established themselves as successful businessmen, they will then be trusted and could even eventually earn the kind of loyalty that the energy company was able to get from their hard workers. This is one of the other reasons the Russians are not often trusted outside their country. They are hard to understand on a personal and professional level.